International Law | Chicago Immigration Lawyer | Bankruptcy Attorney | Personal Injury Law Firm | Ebere N. Ekechukwu & Associates, P.C. The trend toward global political and economic interdependency will continue to have a profound effect on domestic and international business. To this end, we represent both domestic and international clients/businesses in contract negotiation, export/import trade, foreign distribution arrangements, letters of credit, international licensing and leasing, joint venture agreements, company formation, and transfer of businesses or shares. International law is the collection of treaties and agreements governing the interaction of international business transactions. We assist clients based outside the U.S. to understand and comply with U.S. regulations, and clients located within the U.S. to understand and comply with foreign requirements and how the international issues converge. 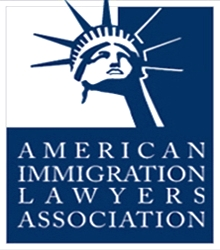 Arbitration has gradually become an attractive and popular alternative to dispute resolution in the United States. Success in arbitration generally requires an understanding of the principles and the rules or specific arbitration. We possess the knowledge, understanding and skills necessary to successfully represent our clients in various types of commercial arbitration, including trade and international affairs. Where necessary, we work closely with top international law firms in other countries to ensure protection of our clients’ interests. Attorney EBERE N. EKECHUKWU has the advantage of having obtained her LLB, LL.M and J.D. from two countries, has practiced in these countries and fully understands the international trends we are facing today. Contact us today to see how we can assist you. The U.S. Government regulates the import and export of goods and services crossing all of the country’s borders through regulatory provisions enforced by U.S. Customs. U.S. Customs enforces not only its own import and export regulations, but also those of other U.S. Federal Agencies such as the Food and Drug Administration, Environmental Protection Agency, and Federal Trade Commission. U.S. Federal Agencies that control the importation of products into the U.S.
Food and Drug Administration (FDA): The FDA protects the public health by assuring the safety of the food supply, human and veterinary drugs, dietary supplement, vaccines and medical devices commercialized within the U.S. This Agency reviews and approves all food and drug products entering the U.S. before passing through U.S. Customs. Environmental Protection Agency (EPA): The EPA protects public health and public welfare by regulating the emissions of hazardous air pollutants. This Agency reviews and approves all products with potential to pollute before passing through U.S. Customs. Federal Trade Commission (FTC): The FTC enforces rules and regulations designed to ensure the rights of consumers, fair trade competition, and free flow of truthful information in the marketplace. Before the product passes through U.S. Customs, this Agency reviews and approves the product’s competitive business practice. We also assist foreign clients wishing to purchase real property in the United States to find property in the Chicagoland area. Attorney Ebere N. Ekechukwu is a Real Estate broker and holds real estate broker license in Illinois.